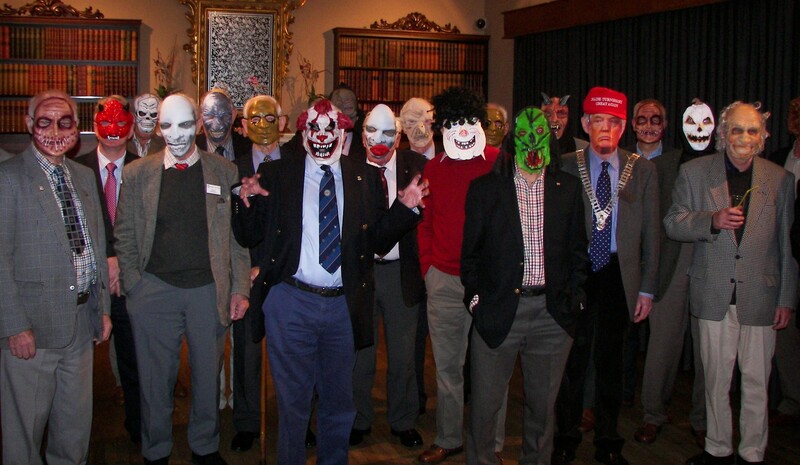 At our Tuesday meeting, most of the members entered into the Halloween “spirit” and donned their masks. 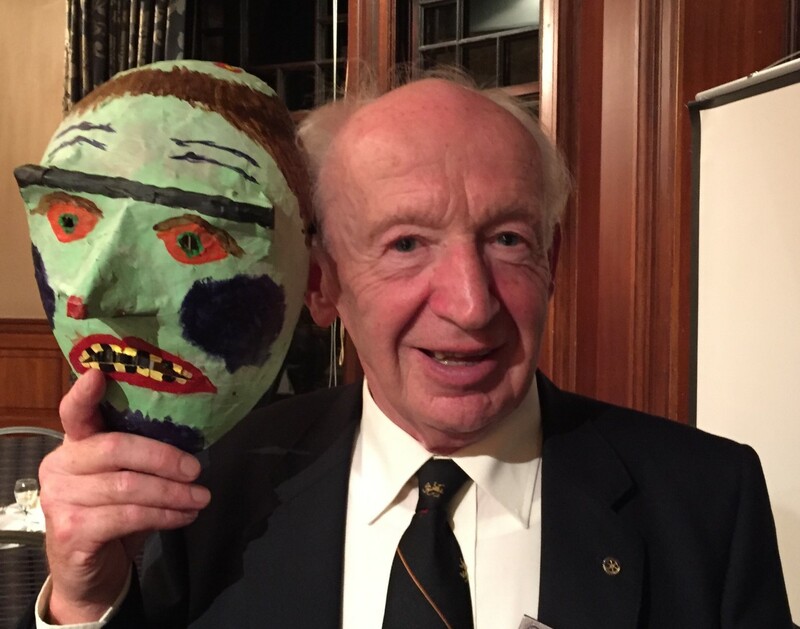 Shauna, the duty manager at the Savoy Park Hotel, carefully strolled along the ranks of scary faces, one included a Donald Trump mask, and judged that Neil Beattie’s home made effort stood out as the best on the evening. Neil’s grandchilden, Isy and Jacob, helped with the design of the paper-mache face and doubtless will be delighted to receive the horror sweets, the winner’s prize.